16 full-length music videos from the industry's best, like Michael W. Smith, Jars of Clay, dc Talk, Plus One, Jennifer Knapp and great new artists from the year 2000. 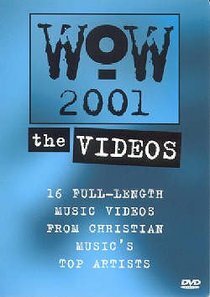 WOW 2001 The Videos brings the hottest artists and bands from all over Christian music into one place. . .your living room! Experience the year in music on one DVD.